Herbal Tea Leaves from the Himalayas, 21 Ayurvedic Herbs is a rich and healing blend of premium Indian green tea with over 21 medicinal herbs from the Himachal valley of India. 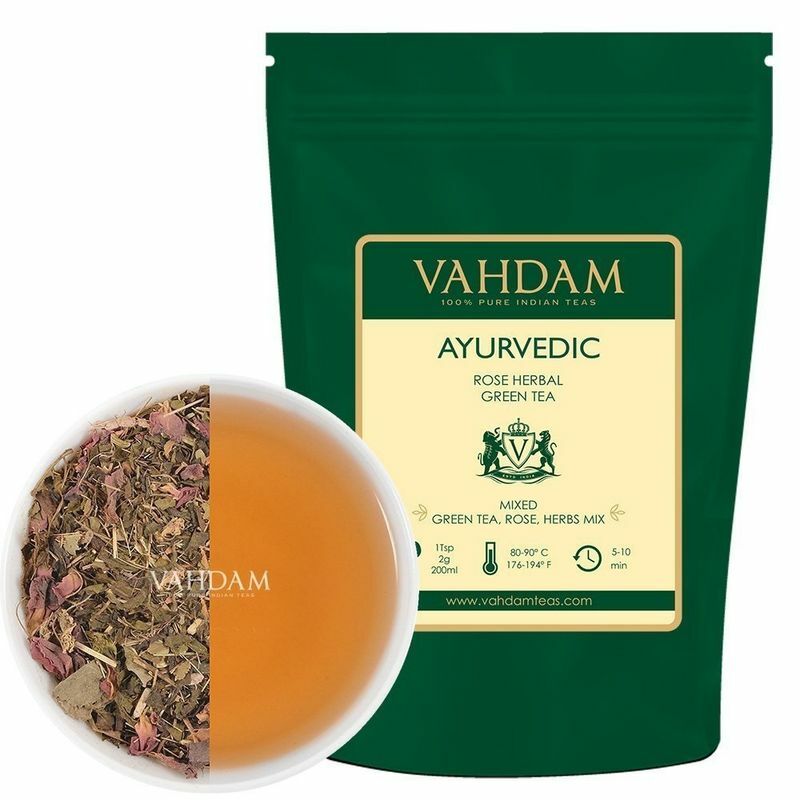 The green tea base is prepared by blending leaf green teas from the Kangra Valley & Assam. The tea is then combined with ancient herbs like Rose petals, mint, holy basil (tulsi) among others in a researched ratio to make for an extremely grassy and aromatic tea cup of tea. The tea is characteristic of an earthy aroma of rose with bright liquor in the cup and a refreshing and rejuvenating aftertaste. Extremely delicious with multiple health benefits.